The film was released in French theatres in Autumn 2017 (70 000 spectators) and in German theatres in Autumn 2018 (40 000 spectators). Thanks to Montessori associations, the film will be available for screenings and on DVD in early 2019 in the following languages: Greek, Portuguese, Spanish, Bulgarian, Czech, Latvian, Norwegian, Polish. For now, we are striving to find partnerships in others countries. The movie will be released by First Run Features in the USA and Canada in 2019. It will be released in Italy in 2019 by JUST WANTED. If you live in a Hispanic country (Spain or Latin America) do not hesitate to contact us to organize a screening near your home or school. It is really easy and free for you. Please go to this link where we explain the procedure (in Spanish). We all dream of a bright future for our children: a fertile personal life and a harmonious social life. School partly nurtures these aspects. So, which pedagogy should we choose? I here invite you to discover Maria Montessori’s method of education. Based on her scientific observations, Maria Montessori discovered that by respecting a child’s personality and by offering him an environment that meets his developmental needs, they could thrive and build a solid foundation for living the human adventure with joy. In 1907, she opened a nursery school in Rome where she developed a new method of education. Her pedagogy rapidly become well known and is still growing in the world today. This documentary invites you to discover the main concepts of this pedagogy, in particular how they are implemented in the reality of the daily routine of a nursery class where the filming took place throughout the year 2015. The programme includes: meeting the children, observing their free actions and discover how, over time, thanks to the trust given to them and to the attention given to their needs, they gain in independence, concentration, self-confidence, self-discipline, social openness… and how their enthusiasm to learn is stimulated. Another concern of the film is to bring to light all the challenges that Christian Maréchal needs to overcome, how best to fulfill his role as an educator of 28 children from 3 to 6 years old. How does he go about creating and maintaining a peaceful environment which will enable each child to be happy, build his self-esteem and nourish his potential…? Voice-off: thanks to unpublished archives found while working on this film, keys will be given to understand the Montessori values, how the pedagogy works and Maria Montessori herself. Recent scientific researches in neuroscience and psychology will be brought up to confirm the pedagogue’s intuition. If, like Maria Montessori, we think that “the child is the father of man”, then allowing ourselves to be guided by the teacher full of love, enthusiasm, intelligence, is opening a path towards peace and the elevation of humanity. Beginning of the autumn term 2014, I then began an in-depth study, looked into archives, met numerous people and of course spent days of observation in classes all over France (22 in all). My passion for the subject did not stop to grow and I actively looked for a setting to produce my project. I eventually started my documentary in Christian Maréchal’s class at Jeanne d’Arc school in Roubaix (France) February 2015. During summer 2015 I started the International Montessori teacher program at early childhood level (ages 3-6) in order to refine my knowledge. After finishing his engineering studies, Alexandre produced CD-Roms for famous French editors (GALLIMARD, FLAMMARION, LAROUSSE, ARTE Editions…) then launched some internet technology activities. This did not satisfy his need to create. He decided to follow a history of art course at La Sorbonne University, be trained in photography and eventually in documentary filmmaking at the Ateliers Varan. In 2009 his first documentary called “Poubelles et Sentiments” (“garbage and feelings”) was released, dealing with the attachment we have with material things. The film was selected for screening by several festivals. Since 2014, he has dedicated himself fully to documentary making, with a passion for education. In the summer 2015, he started an international Montessori training for 3 to 6 year old children (with the AMI) to improve his knowledge of the Montessori educational methods, which was the subject of his second movie. En 2018, he obtained his AMI Montessori diploma. 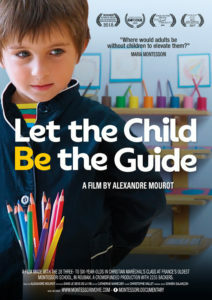 Since the release of his documentary “Let the child be the guide” in France in september 2017, with more than 70.000 spectators, his main activity consists on promoting the documentary around the world. In 1990 Catherine started working for various Parisian productions, producing numerous magazine editings such as L’Oeil du Cyclone aired on Canal + channel and over 60 clips for artists such as Jean-Louis Aubert, Pascal Obispo, Assassin, Zazie, Jean-Jaques Goldmann, Jaques Dutronc, amongst others. 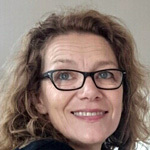 Working for Parisian productions was Catherine’s first job in 1990, for which she produced numerous magazine editings (such as L’Oeil du Cyclone on Canal + channelShe naturally looked towards a line of documentary editing work and has been working since 1997 for a regional TV channel (France 3 Loraine). To establish her knowledge, she went into a professional Master on production and documentary editing. 2014-2015: born in 2011: Marine, Victorien, Géraud, Félix, Noélie, Louis, Séraphine, Camille, Charlie ; born in 2010: Achille, Étienne, Gabriel, Léa, Nour, Gabin, Roxane, Valentine, Mathieu, Auguste ; born in 2009: Joseph, Garance, Bartimée, Juliette, Titouan, Jeanne, Olivier, Yanis, Sixtine. 2015-2016: born in 2012: Alphonse, Marin, Pierre, Alix, Adèle, Agathe, Antoine, Pierre, Charlotte, Robin ; born in 2011: Marine, Victorien, Géraud, Félix, Louis, Séraphine, Camille, Charlie ; born in 2010: Achille, Étienne, Gabriel, Léa, Nour, Gabin, Roxane, Valentine, Mathieu, Auguste. After studying robotics, Christian decided to change fields to his first aspirations: education. He agreed to replace a supply teacher in a primary school. Christian reflected on the pace of each child, especially when he discovers that some good pupils do not like going to school. He went back to studying to become a primary teacher and discovered Maria Montessori’s pedagogy. For two years, he took a first training course for Montessori 3-6 year-olds, then Montessori 6-12 year-olds at the Montessori school of Roubaix (France) with the Dominican nuns. Some nuns had taken their training with Maria Montessori. From 1992 to 1995, Christian worked in a Montessori school in a disadvantaged area in North of France. In 1995 he entered the Montessori school of Roubaix and led the Montessori environment for the 6-9 years old. In 2000 Christian took a training course for the Association Montessori Internationale (AMI) 3-6 Diploma at the Maria Montessori Institute in Paris. Since 2001, he has been leading a Montessori environment for the 3-6 years-old in the Montessori school of Roubaix. 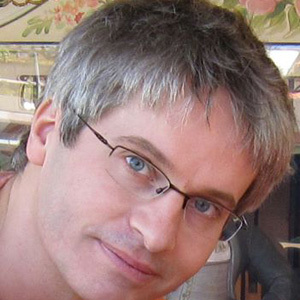 Since 2002, he has worked with the Maria Montessori Institute of Paris and Geneva for the AMI training and becomes in 2005 became a member of the jury for the completion of the AMI 3-6 Diploma. In 2012 Christian enrolled in the AMI Training of Trainers Programme. In 2015, he completed his Montessori diploma in London for the “catechesis of the Good Shepherd”. The same year, he worked with Alexandre Mourot to shoot a documentary on the Montessori pedagogy. The crowdfunding campaign finished in October 2016. Thanks to 2255 contributors and more 140 000 euros, we have been able to release the film in French theatres in Automne 2017 and on international DVD afterwards. We do not have a precise date for the launch of the DVD. French law fixes a media chronology which establishes a 4-month delay between the theatrical release of a film and the launch of the DVD recording. It is planned that the documentary will be due for release in Autumn 2017. Do you have a question, a comment or need assistance? Please send us your comments, questions or requirements about the trailer or the website via this page.